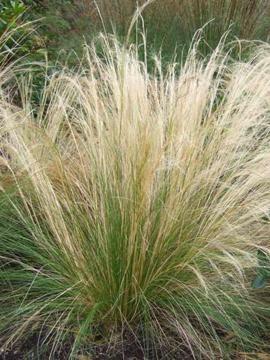 Fine leaved and clump forming, mature plants appear like a flowing mane of silky hair with soft green, flexible, very fine foliage. 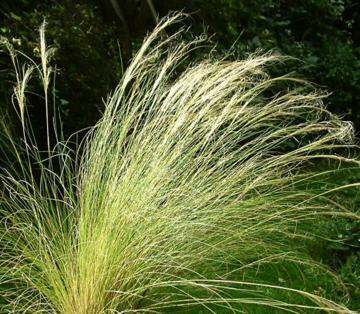 Airy flower panicles in summer, starting jade green, turning beige and maturing to fluffy oat-coloured seed heads . Can be used on slopes for erosion control.